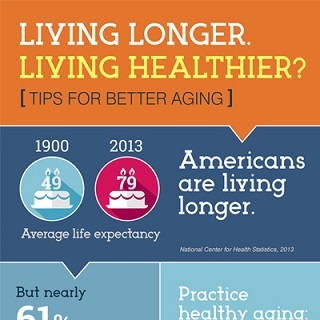 Read and share this infographic to get information and tips about living longer and healthier. Learn to recognize how much to eat so you can control portion size. When eating out, pack part of your meal to eat later. One restaurant dish might be enough for two meals or more. 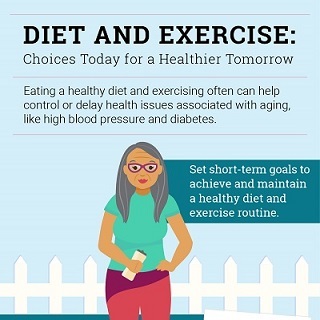 Read and share this infographic to learn more about lifestyle changes you can make today for healthier aging.